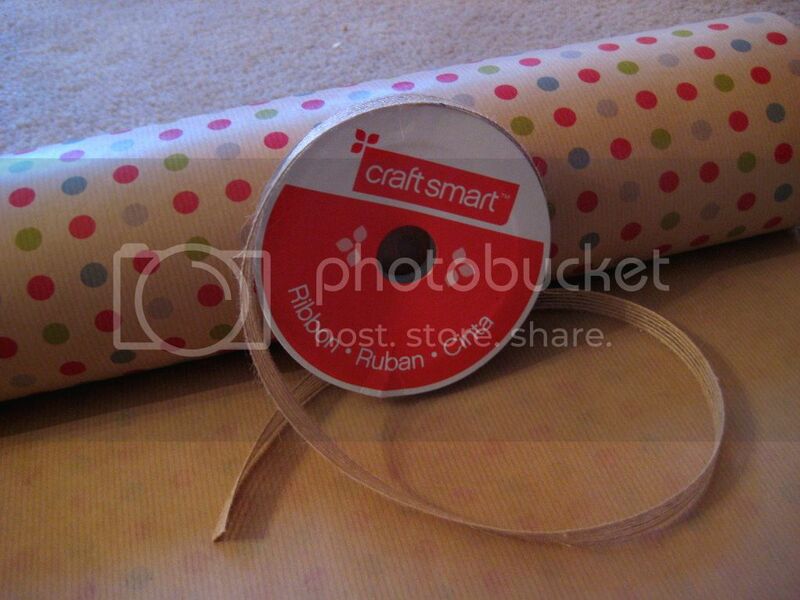 One of my favourite things about Christmas is wrapping the gifts. It's a chance to go back through everything you bought (sometimes I forget what all I bought) and make each package special for the person opening it. I'm not going to lie...I spend less time on kids gifts and the gifts for men, I focus my energy on my sisters, sister-in-law, Mom and Mother-in-Law. They appreciate it more don't they? Lost of bloggers have posted some inspiring pictures but I have to admit I was most inspired by my cousin and blogger Melissa of Hare Styling. 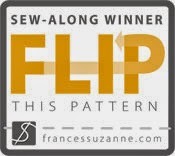 You can check out her gifts and inspiration here. 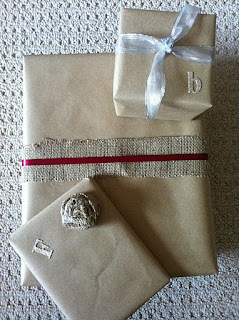 I love the plain brown paper and the touches of burlap. Just what my gifts need to help warm up my Christmas look. If you've missed my stress about my tree and warming up my look you can find it here, here and here. I used a roll of paper I picked up at a drug store and another from Michaels. The ribbon is also from Michaels in the one dollar bin. A dollar right? Loved the twine-ish looking one. I love making bows for the girl and it never once crossed my mind to use real ribbon on a gift...duh! We also got the coolest tags this year from our bookstore. They look nice and also have funny sayings on them. My favourite says "I made your gift because... I'm cheap/ I'm crafty". You have to select the one that applies. It has been saved for a special present that I believe was made because I am crafty, but my Brother-in-Law might argue that. That tutorial will be posted after Christmas as to not give away the gift! You are so sweet! 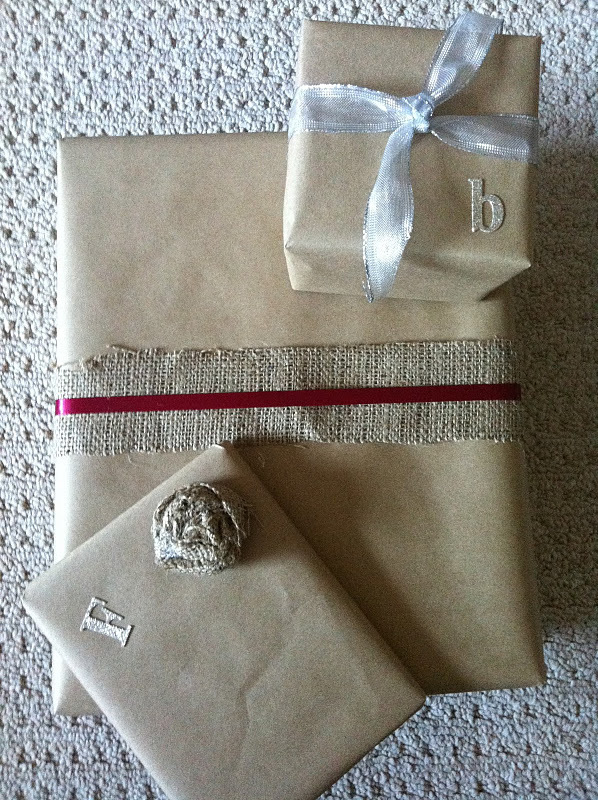 Thank you so much for sharing a pic of my wrapping! I ADORE the paper you used and might have to go pick up a roll! I love the paper you chose! !